When he was young, Yang, Lu-chan went to Chen Jia Gou in Henan province to learn taijiquan from Chen, Chang-xing. Chen realized that Yang had great potential and taught him the secrets sincerely. Dr. Yang, Jwing-Ming has a long history in Chinese Wushu going back over fifty years. During his youth, he spent thirteen years learning Taijiquan, Shaolin White Crane (Bai He), and Shaolin Long Fist (Changquan). He continues to research, study, learn, and practice to this day. Below is an excerpt of Dr. Yang's revised edition of the book Tai Chi Chuan - Classical Yang Style. This book has the same content, but a new easy-to follow layout. Each movement is presented in a series of photographs, with clear, same-page instructions for each Taiji posture. One night, he was awakened by the sounds of "Hen" (哼) and "Ha" (哈) in the distance. He got up and traced the sound to an old building. Peeking through the broken wall, he saw his master Chen, Chang-xing teaching the techniques of grasp, control, and emitting jin in coordination with the sounds “Hen” and “Ha.” He was amazed by the techniques and from that time on, unknown to master Chen, he continued to watch this secret practice session every night. He would then return to his room to ponder and study. Because of this, his martial ability advanced rapidly. One day, Chen ordered him to spar with the other disciples. To his surprise, none of the other students could defeat him. Chen realized that Yang had great potential and after that taught him the secrets sincerely. After Yang, Lu-chan finished his study, he returned to his hometown and taught taijiquan for a while. People called his style Yang Style (Yang Quan, 楊拳), Soft Style (Mian Quan, 綿拳), or Neutralizing Style, (Hua Quan,化拳) because his motions were soft and able to neutralize the opponent's power. He later went to Beijing and taught a number of Qing officers. He used to carry a spear and a small bag and travel around the country, challenging well-known martial artists. Although he had many fights, he never hurt anybody. Because his art was so high, nobody could defeat him. Therefore, he was called "Yang Wu Di" (楊無敵) which means "Unbeatable Yang." He had three sons, Yang Qi (楊琦), Yang Yu (楊鈺) also called Ban-hou (班侯), and Yang Jian (楊鑒) also called Jian-hou (健侯). Yang Qi died when he was young. Therefore, only the last two sons succeeded their father in the art. 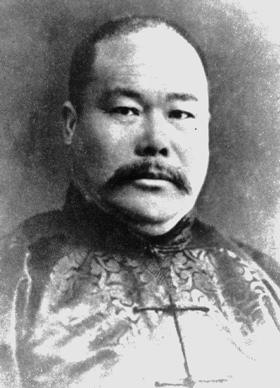 Yang's second son, Yang, Yu (A.D. 1837-1890), was also named Ban-hou. People used to call him "Mr. The Second." He learned taijiquan from his father even as a child. Even though he practiced very hard and continuously, he was still scolded and whipped by his father. He was good at free fighting. One day he was challenged by a strong martial artist. When the challenger grasped his wrist and would not let him escape, Yang, Ban-hou used his jin to bounce the challenger away and defeat him. He was so proud that he went home and told his father. Instead of praise, his father laughed at him because his sleeve was torn. After that, he trained harder and harder, and finally became a superlative taijiquan artist. Unfortunately, and perhaps not surprisingly, he didn't like to teach very much and had few students, so his art did not spread far after he died. One of his students called Wu, Quan-you later taught his son Wu, Jian-quan (吳鑒泉), whose art became the Wu Style Taijiquan. Yang, Ban-hou also had a son, called Zhao-peng (兆鵬), who passed on the art. The third son of Yang, Lu-chan was Yang Jian (A.D. 1842-1917), also named Jian-hou and nicknamed Jing-hu (鏡湖). People used to call him "Mr. The Third." He also learned taijiquan from his father since he was young. His personality was softer and gentler than his brother's, and he had many followers. He taught three –postures—large, medium, and –small—although he specialized in the medium posture. He was also expert in using and coordinating both hard and soft power. He used to spar with his disciples who were good at sword and saber, while using only a dust brush. Every time his brush touched the student's wrist, the student could not counter, but would be bounced away. He was also good at using the staff and spear. When his long weapon touched an opponent's weapon, the opponent could not approach him, but instead was bounced away. When he emitted jin, it happened at the instant of laughing the "ha" sound. He could also throw small metal balls called "bullets." With these balls in his hand, he could shoot three or four birds at the same time. The most impressive demonstration he performed was to put a sparrow on his hand. The bird would not be able to fly away because, when a bird takes off, it must push down first and use the reaction force to lift itself. Yang, Jian-hou could sense the bird's power and neutralize this slight push, leaving the bird unable to take off. From this demonstration, one can understand that his listening jin and neutralizing jin must have been superb. He had three sons: Zhao-xiong (兆熊), Zhao-yuan (兆元), and Zhao-qing (兆清). The second son, Zhao-yuan died at an early age. Yang, Jian-hou's first son, Yang, Zhao-xiong (A.D. 1862-1929), was also named Meng-xiang (夢祥) and later called Shao-hou (少侯). People used to call him "Mr. Oldest." He practiced taijiquan since he was six years old. He had a strong and persevering personality. He was expert in free fighting and very good at using various jins like his uncle Yang, Ban-hou. He reached the highest level of taijiquan gongfu. Specializing in small postures, his movements were fast and sunken. Because of his personality, he didn't have too many followers. He had a son called Yang, Zhen-sheng (振聲). 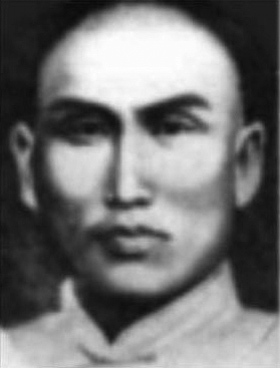 Yang, Jian-hou's third son was Yang, Zhao-qing (兆清) (A.D. 1883-1935), also named Cheng-fu (澄甫). People called him "Mr. The Third." His personality was mild and gentle. When he was young, he did not care for martial arts. It was not until his teens that he started studying taijiquan with his father. While his father was still alive Yang, Cheng-fu did not really understand the key secrets of taijiquan. It was not until his father died in 1917 that he started to practice hard. His father had helped him to build a good foundation, and after several years of practice and research, he was finally able to approach the level of his father and grandfather. Because of his experiences, he modified his father's taijiquan and specialized in large postures. This emphasis was completely reversed from that of his father and brother. He was the first taijiquan master willing to share the family secrets with the public, and because of his gentle nature he had countless students. When Nanking Central Guoshu Institute (南京中央國術館) was founded in 1928, he was invited to be the head taijiquan teacher, and his name became known throughout the country. He had four sons, Zhen-ming (振銘), Zhen-ji (振基), Zhen-duo (振鐸), and Zhen-guo (振國). Wu Style Taijiquan was started by Wu, Quan-you who learned from Yang, Lu-chan's second son Yang, Ban-hou. Yang, Cheng-fu's taijiquan is not the same as his father's, uncle's, or brother's. He modified it and emphasized large postures and improving health. You should now understand why there are so many variations within the art, even within a style such as the Yang Style. After so many years and so many generations, countless students have learned the style and have made many modifications in light of their own experiences and research. It is understandable that a student today might learn taijiquan and find that his or her style is different from another claiming to be from the same source. No one can really tell which one is the original style, or which is more effective than the others. Observations from nature and contemplation of the Dao can help you to determine a style's –emphasis—either for healing or self-defense—but it is purely a subjective, human determination whether one is in fact "better" than any other. This is a deeply profound area of the art. Self-defense and good health are indeed closely related concepts, separated only by a philosophical frame of mind. Ultimately, such comparisons of techniques are meaningless. It is the time, consistency, and quality of your practice that matters. If you can understand this, even as you strive for deeper mastery of your chosen art, then you have already reached a profound understanding of Dao.